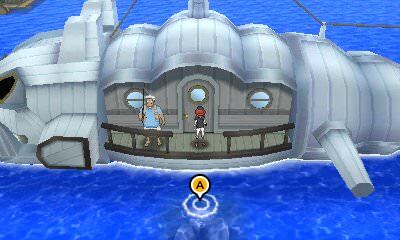 Across The Alola Region, you will find certain Bubble Spots that you can fish into with your fishing rod. These spots usually have rare Pokemon within them that you can find; however, sometimes you can hook onto extremely rare items instead of a Pokemon. These special spots can be found on Route 7, Route 8, Route 9, Route 13, Route 14, Route 15, Akala Outskirts, Brooklet Hill, Kala'e Bay, Melemele Sea, Paniola Town, Poni Breaker Coast, Poni Gauntlet, Poni Meadow, Poni Wilds, Seafolk Village, Seaward Cave, Secluded Shore and Vast Poni Canyon.